The word "Sahara" immediately evokes images of an arid and barren expanse in furthest reaches of North Africa – sand dunes, camels, and extreme heat. And with good reason: the Sahara is renowned as the world's largest and hottest desert. But the Sahara Desert is no longer quite so far away. 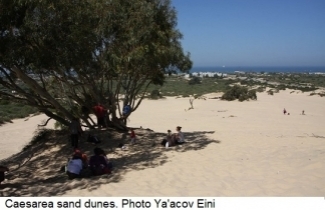 Thanks to a lengthy natural process, the Sahara has reached the backyard of some of central Israel’s residential areas, with its northern extension now lying between the beaches of Caesarea and the western part of Binyamina. It all began with the slow erosion and disintegration of the granite rocks of Ethiopia and the sandstone of Sudan, which are located just beyond the boundaries of the desert. After millions of years, the crumbling soil was washed into the Nile River and flowed from there into the Mediterranean Sea. The sand then traveled through the Mediterranean seabed to the shores of Israel, piling up on land in the form of sand dunes. At first glance, this sandy area seems to be almost lifeless, but it is far from it. The Schreiber's fringe-fingered lizard, Short-fingered Gecko, Buxton's jird and Lesser Egyptian jerboa are only a small selection of the amazing wildlife (with peculiar names) that inhabit the dunes and create a unique and enchanting ecosystem in the heart of a residential area on the coastal plain. But its proximity to constantly developing urban areas in a region obsessed with real estate puts the dunes at great risk. 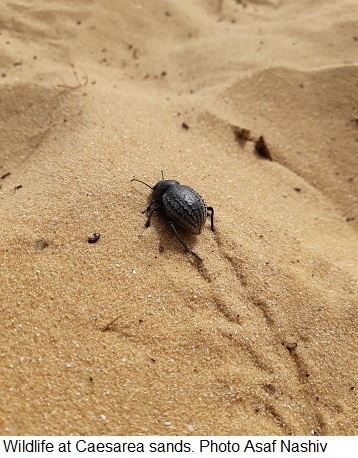 In fact, one of the development plans currently being discussed for the area includes a road that will fragment the dunes, preventing animals from crossing from one side to the other, reducing the size of the habitat and creating harmful side-effects, such as light and noise pollution. This plan demonstrates a severe lack of awareness and appreciation for the unique nature values that exist in this open area. To combat these plans, SPNI has developed a special public event named "Bio-Blitz" that will take place for 48 hours between April 11-13. As its name suggests, the event will resemble an "ecological raid" centered on thoroughly researching the area and monitoring its rich bio-diversity, including many animals such as reptiles, rodents, insects, butterflies, mammals and bats. Working together with the public, SPNI experts from all ecological fields will survey the area and collect data that will be used to advance SPNI's campaign to declare the area a nature reserve, providing this unique habitat with the highest level of protection. The event will also include activities for kids, a fascinating evening talk, introductions to the varied nature research methods being used, and much more. All proceeds will support the preservation of the dunes and the campaign to protect it. 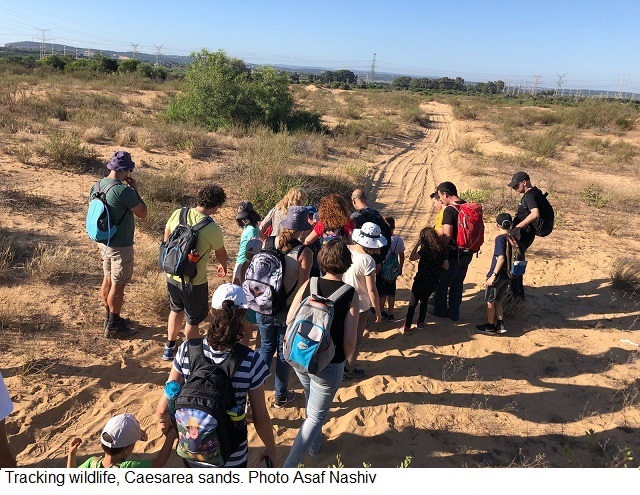 It took millennia for these famous sands to find their way to Israel, and we have no intention of allowing developers destroy a thriving habitat and ecological marvel in the blink of an eye!